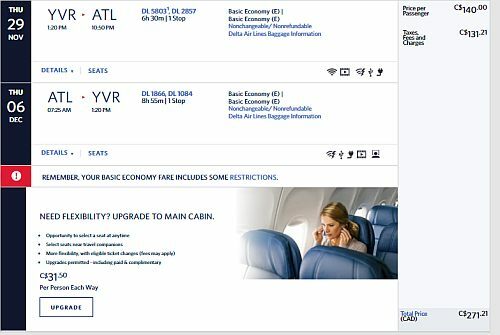 Delta has dropped the price of their flights from Vancouver to Atlanta, Georgia down to $271 CAD roundtrip including taxes. The flights have 1 stop each way, in Minneapolis or Seattle. 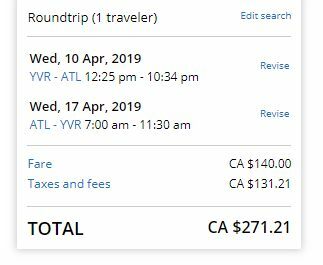 Update 11/4: United Airlines and Delta are both showing 1-stop flights from Vancouver to Atlanta, Georgia for $271 CAD roundtrip on various dates between late November 2018 and April 2019. 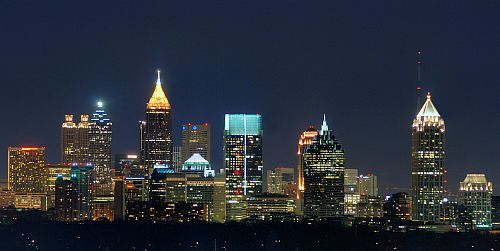 As well as September 2019.
vancouver, yvr, flight deals, delta, atlanta, georgia, atl, united states and north america.